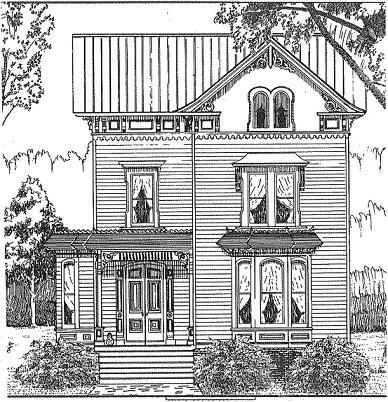 The Victorian Lady is a Victorian Queen-Anne Italianate home built in 1996 from the floor plan originally produced in the Bicknell’s “Detail Cottage and Construction Architecture” published in 1873. 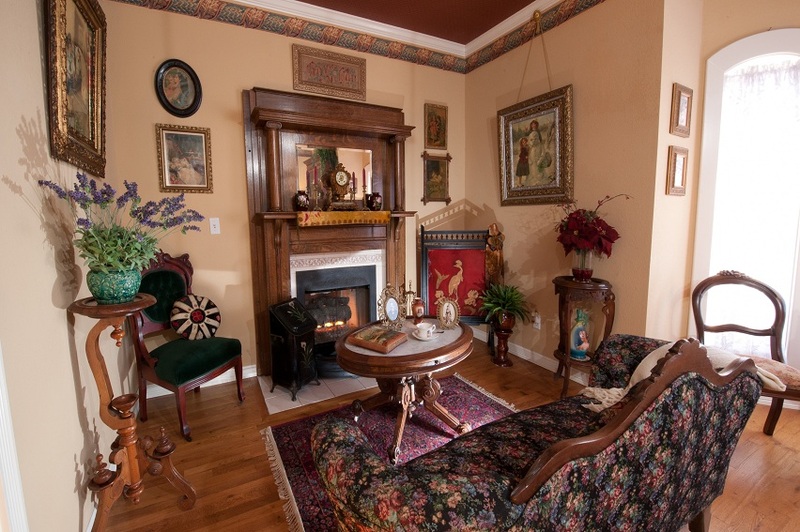 The Inn is decorated in antique furnishings and reflects the Victorian era from 1860 to 1890. 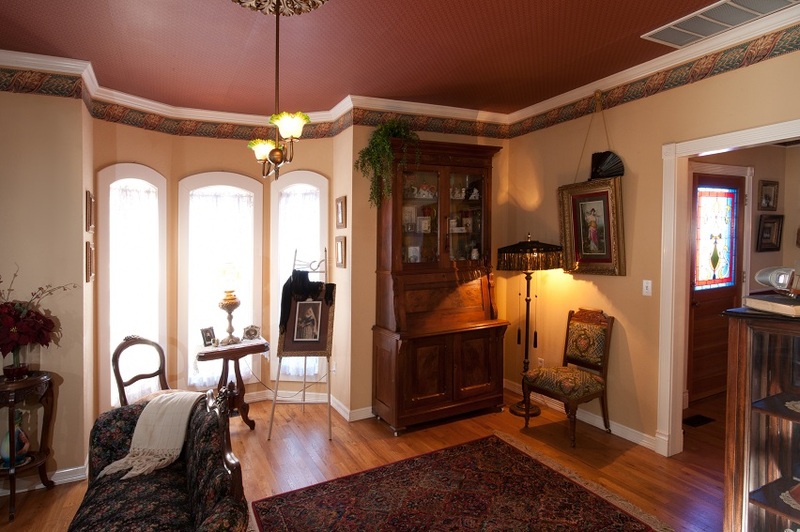 The Victorian Lady offers you a warm and friendly atmosphere with gracious hospitality. From the moment you awaken to the wonderful aroma of breakfast until those last quiet moments before you retire for the evening, we trust that your stay will be filled with all the pleasures that a bed and breakfast inn can offer. The warmth of a romantic retreat welcomes you at the door. Inside the front door, the Formal Parlor and Sitting Room invite you in with the comfortable combination of antique Victorian furnishings and quaint lace curtains. These rooms offer you a chance to relax and enjoy a quiet evening, read a book, or browse among the many antiques. Each room in the Inn is tastefully and individually decorated with the charming antique Victorian furnishings, nostalgia pieces, and many special touches. 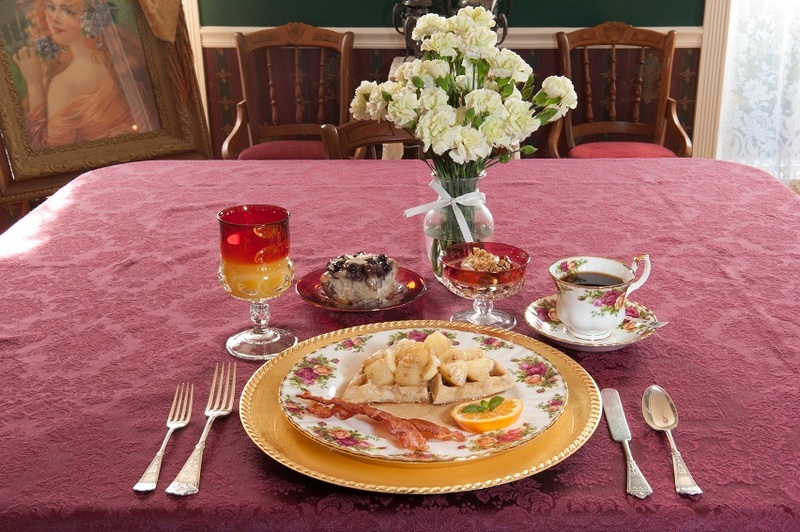 At 9:00 a.m., you can join us in the elegant dining room for a gourmet three-course breakfast served on antique silver, glassware, and bone china. Every sumptuous breakfast starts with hot coffee or assorted teas, juice, and delicious breakfast cakes or muffins. Hot entrees are accompanied with fresh seasonal fruit or a fruit dish. The Victorian Lady is conveniently located near Tulsa area attractions, the BOK Center, the Riverwalk Crossing, the Oklahoma Aquarium, and close to many fine restaurants and antique shops.